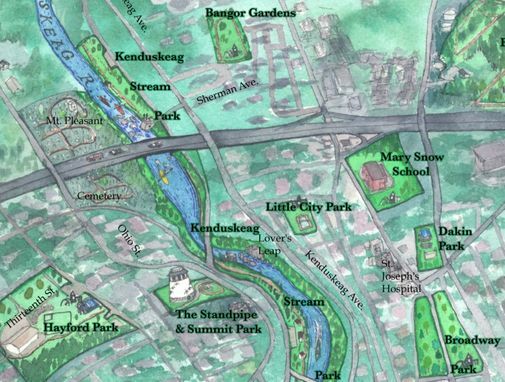 I work with public land trusts, city and county governments, and environmental organizations to create maps of community open space, parks, trails and more. 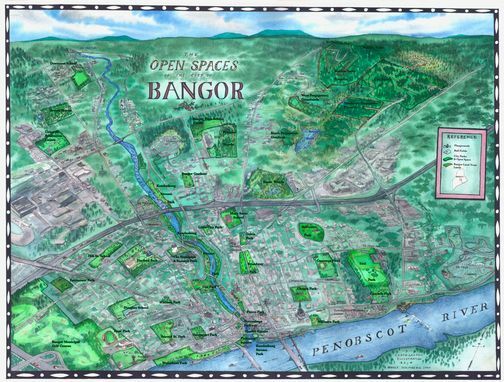 This map is of the city of Bangor, Maine, with all the public parks and open space highlighted and labeled. It was printed poster size and sold to help fundraise future projects.